2014 National Press Club Fourth Estate Award winner Charlie Rose. Charlie Rose will be honored at the 2014 National Press Club Fourth Estate Award Gala on Sept. 13. Buy your tickets now! 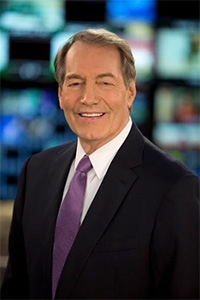 Charlie Rose, acclaimed broadcast journalist and interviewer, will accept the National Press Club’s most-honored prize, the Fourth Estate Award, at a gala dinner in the Club’s historic Ballroom. Rose is the 42nd recipient of the award, recognizing his career as a journalist who has made significant contributions to the field as one of the most noted interviewers of his era. The dinner is a fundraiser for the National Press Club Journalism Institute, the Club's non-profit affiliate, which provides professional development and training services to the journalism community, and scholarships to aspiring journalists.